Ladies Celebrating Ladies is a recurring feature in which I wax rhapsodic about books written by women that center around female characters. In light of the news cycle the last few weeks (years? decades? ), now is the perfect time to dig into some books by and about badass ladies. 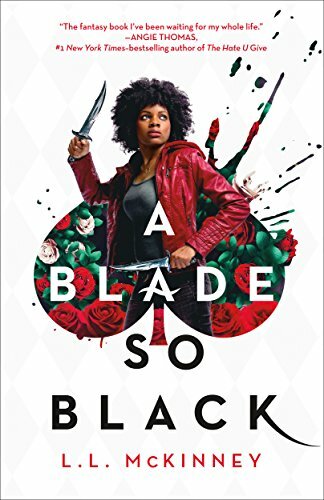 This time, I’ve got a retelling of Alice in Wonderland with a black heroine, a feminist Western about a band of lady outlaws, and a star-crossed teen love story with a hijabi protagonist. Make sure you’re registered to vote, then read these books! Fist pump! This YA fantasy retelling of Alice in Wonderland is so good. It’s only loosely based on the source material, so I never knew what was going to happen next, and believe me, it’s a wild ride. McKinney has a way of tossing the reader into frenetic scenes with very little build-up, which I love—there are no slow spots, the action is just onethingafteranother. The story has the feel of a DC/Marvel movie franchise, and boasts one of the best good-to-evil villain transitions (or what I suspect will be one, guess I’ll have to wait for the next book!) I’ve ever seen. Love the diverse cast, and love seeing a black girl in the role of Alice. Fairy tales are for everyone! Finally, a Western that centers women throughout--and not just one woman, but a whole gang of them, tough and imperfect and rebellious and loyal and just gosh-dang realistic. Former slave Hattie LaCour and widowed white woman Margaret Parker are partners in crime--they and their gang of mostly female outlaws rob banks, stagecoaches, and mining offices, and they never get caught because no one believes women capable of their exploits. Lenhardt tells their story through artifacts like newspaper columns, interviews, and journal entries, which made me feel like a detective historian combing through the archives (but without all the work). I absolutely fell in love with these characters and was blown away by the breadth of diversity represented among them. How amazing to read a story that is in some ways so familiar yet centers people who are usually erased from narratives of this kind. 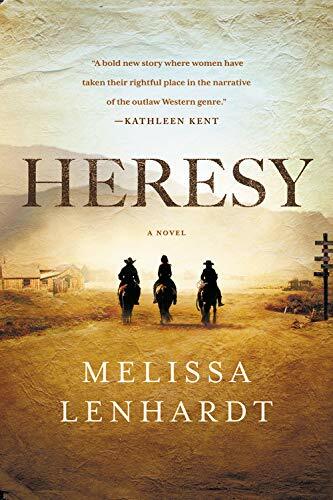 This is the Western the canon has been missing, and it’s the perfect book to pick up if you need a hit of female badassery right about now. 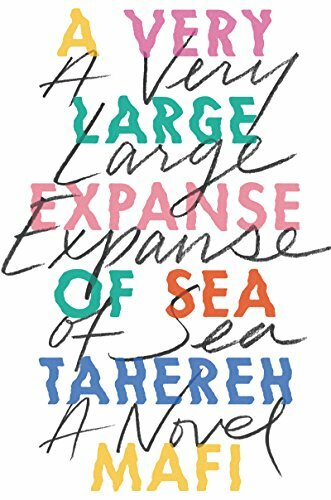 After absolutely loving A Place For Us last month, I have been on the lookout for more books about Muslim characters and families, so I snapped up A Very Large Expanse of Sea even though I don’t usually groove on contemporary YA. I have a low tolerance for teen angst, especially when the characters are privileged kids who brought their problems on themselves. But this book didn’t try my patience because main character Shirin has plenty of legitimate reasons to be angsty. It’s only been a year since 9/11, and the abuse Shirin suffers for simply existing as a Muslim in America is overwhelming. On top of that, her family has moved every year or two nearly her whole life, so she’s never been able to put down roots or get comfortable anywhere. She’s learned to keep her head down and never look anyone in the eye. But her new lab partner, Ocean, actually wants to get to know the real Shirin. Love story with big obstacles, coming right up! Shirin is a delightfully snarky narrator—I loved her voice, her sneaky humor. And, in case you need one more reason to read this book: Tahereh Mafi based the novel on some of her own experiences in high school, including learning to breakdance(! ).